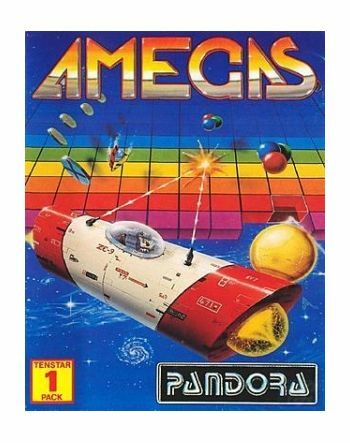 Amegas is the most up to date version of the arcade classic Breakout, featuring 40 levels, spectacular graphics and a superb soundtrack. 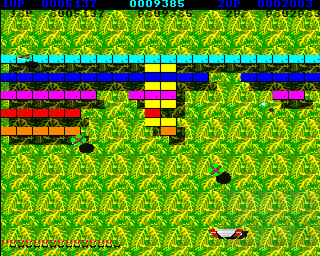 Very similar to the original version, the player controls the moveable bat at the bottom of the screen. This is used to bounce the ball, in order that it collides with a wall at the top of the screen, thus obliterating sections of the wall one by one. 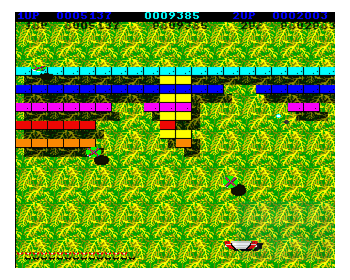 When the wall is completely destroyed, the player is transported to the next level. 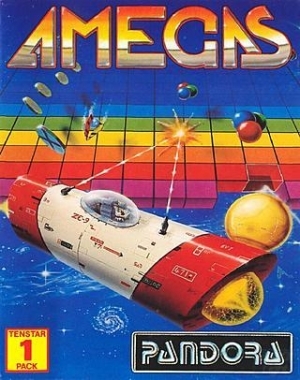 Collecting the coloured blocks that cascade from the wall provides the player with special powers, including an expanded bat, multiple balls and lasers.Instructions on inlay card.